According to DIN EN 692, the relevant safety standards for press engineering, a mechanical restraining device must be present in mechanical presses for repair work and work between the two halves of the tool. The 0055 Series Linear Motion Lock is an approved restraining device according to the German employers’ liability insurance association. 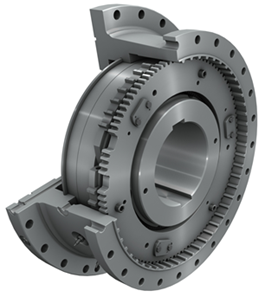 The Linear Motion Lock is used to positively lock a shaft to the fixed housing of a clutch so that the shaft cannot rotate. This is particularly desirable for presses to ensure that the press ram will not move in an uncontrolled or unintended manner during servicing or maintenance work between the two halves of the die. The Linear Motion Lock, a ram locking mechanism, enables a variable locking of the press ram in any position, with a short actuating time of about three seconds. The Linear Motion Lock is matched to and integrated into the machine’s drivetrain. It is engaged or disengaged hydraulically. The state of the ram locking mechanism actuated by oil pressure, either locked or unlocked, is detected using inductive travel sensors and transmitted to the machine control unit. Click here to view and download additional information.